Do you suffer from an auto injury? Then you need chiropractic care for whiplash. The rapid snapping of the head forward and then back during an auto accident strains the neck muscles, at a minimum, causing a lot of pain from the whiplash either immediately or as time moves on. 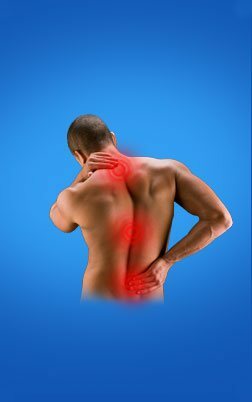 This pain from whiplash can affect every aspect of your life. Even your favorite daily tasks can be painful or even impossible to carry out. Untreated, whiplash (an injury to the neck muscles and spine from rapid forward and backward motion of the neck) can cause short-term neck pain, long-term neck pain as well as restricted movement in your neck. Physical assault: Punching or shaking can injure the neck. In case of an infant or young child, whiplash shake or shaken baby syndrome may be the result of physical abuse. Sports injuries: Karate, diving, or playing sports like – football, may cause this injury. Amusement Park Rides: Sometimes being jerked quickly backward and forward on a ride, such as a roller coaster, may lead to neck and spinal strain. Symptoms of whiplash usually develop within 24 hours after an incident; however, symptoms may not appear for several days. Treatment depends on the severity of the neck injury. It will likely include rest, heat application, and or prescribed painkillers. Stretching exercises to increase range of motion may help. Physical therapy can also be helpful. Your doctor may recommend you wear a neck collar for a few hours a day or at night during the first week after your injury. Each whiplash case is different and a chiropractor can evaluate and determine your appropriate treatment on a case by case basis. Different cases of whiplash have different symptoms. Your chiropractor will determine the best whiplash treatment that will relieve your pain and restore your mobility and flexibility. Chiropractors look at the whole person—not just the painful problem. While the neck pain is the major complaint, other parts of the body are also out of alignment and can be part of the neck pain. In addition to your auto injury chiropractic treatments, your chiropractor may also prescribe therapeutic exercises to help restore normal motion in your spine and reduce whiplash symptoms.